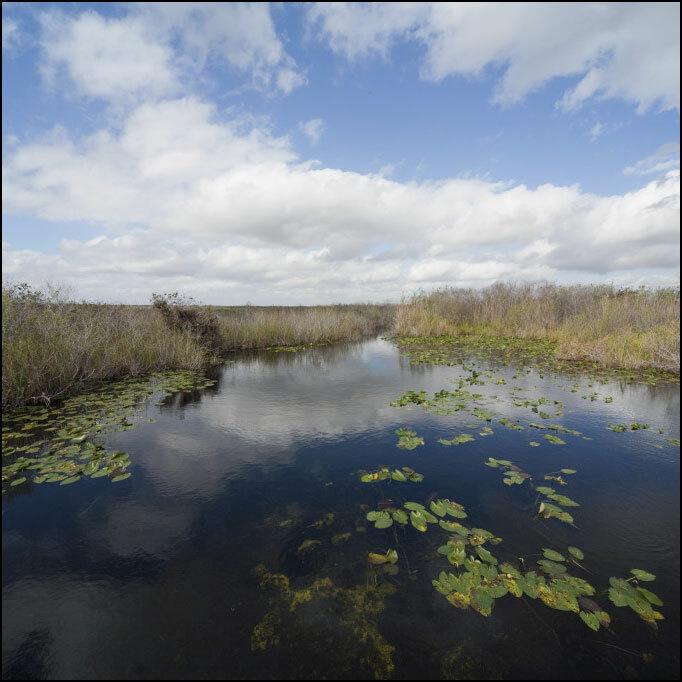 Often referred to as a “River of Grass,” the Florida Everglades is actually a complex system of ecosystems including not only sawgrass marshes, but also cypress swamps, hardwood hammocks, pine rock land, mangrove forests, and the marine environment of Florida Bay. 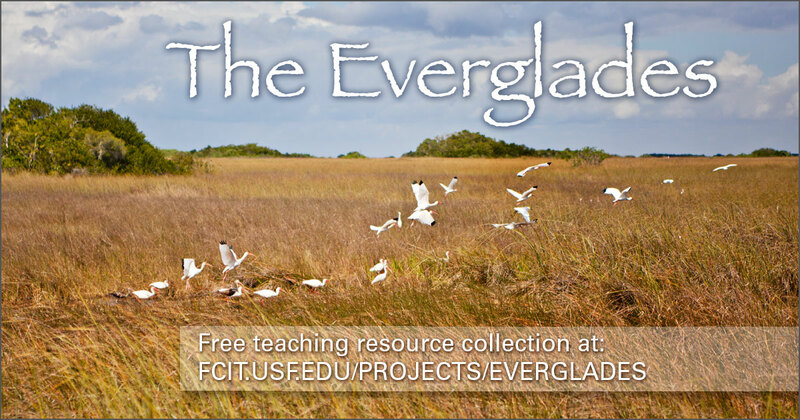 We’ve created a collection of beautiful photographs, maps, and other resources for teaching about the amazing Everglades. 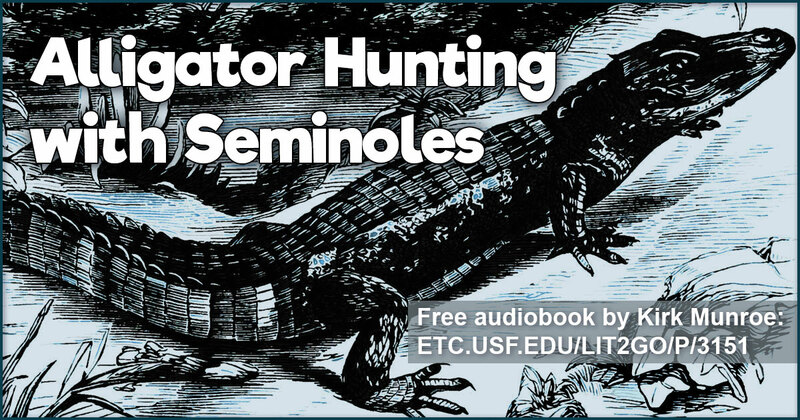 Use this banner on social media to share our collection of Everglades teaching resources. Over a thousand photos of Everglades National Park from the ClipPix ETC website. 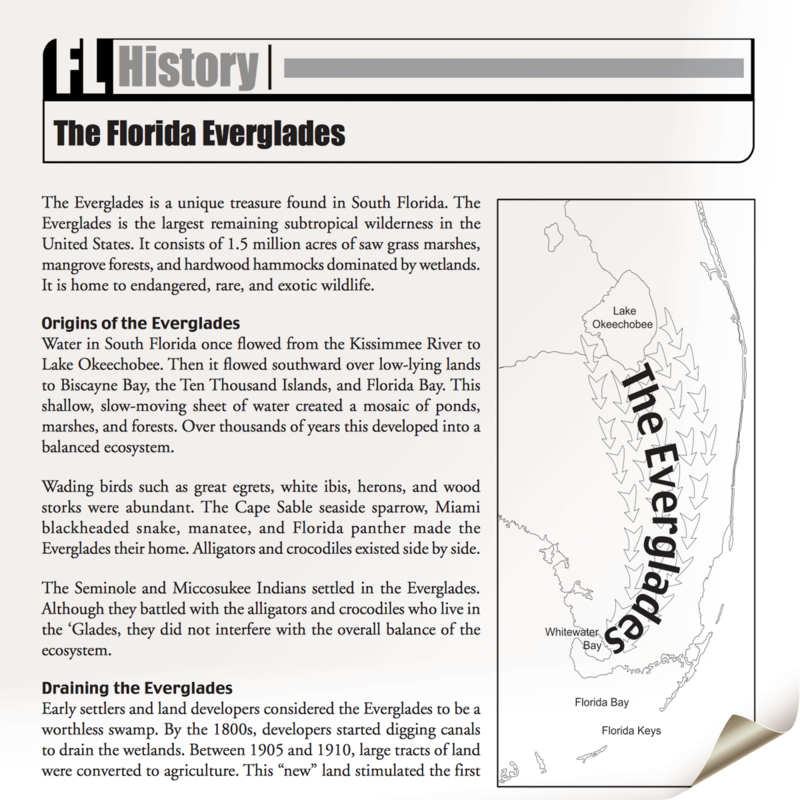 “The Florida Everglades” is a two-page PDF written at the upper elementary glade level from the Exploring Florida website’s “Then and Now” collection. 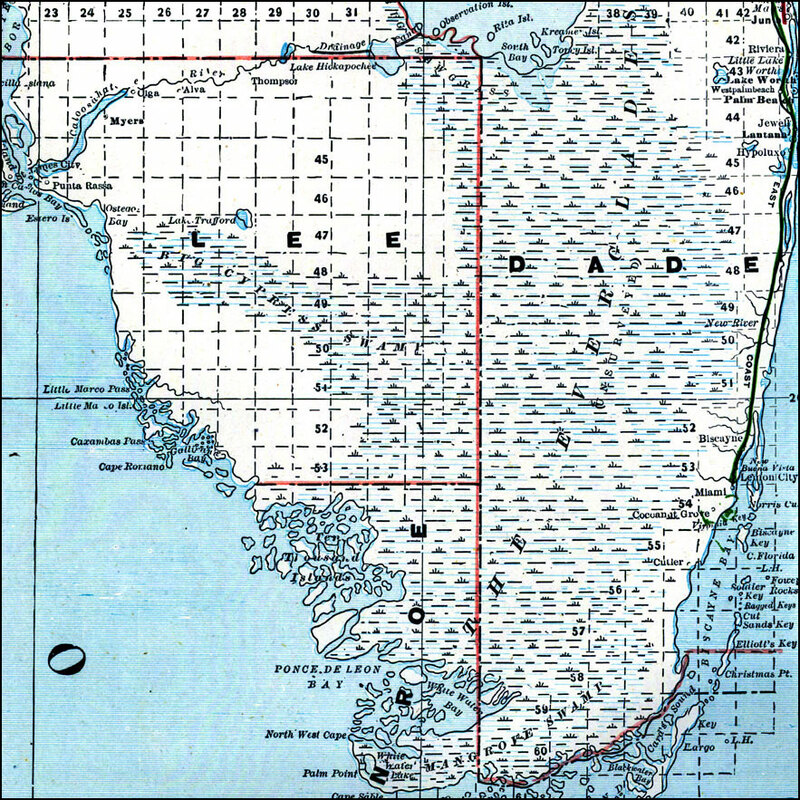 This search of the Maps ETC website will return scores of historic maps of South Florida and the Everglades. 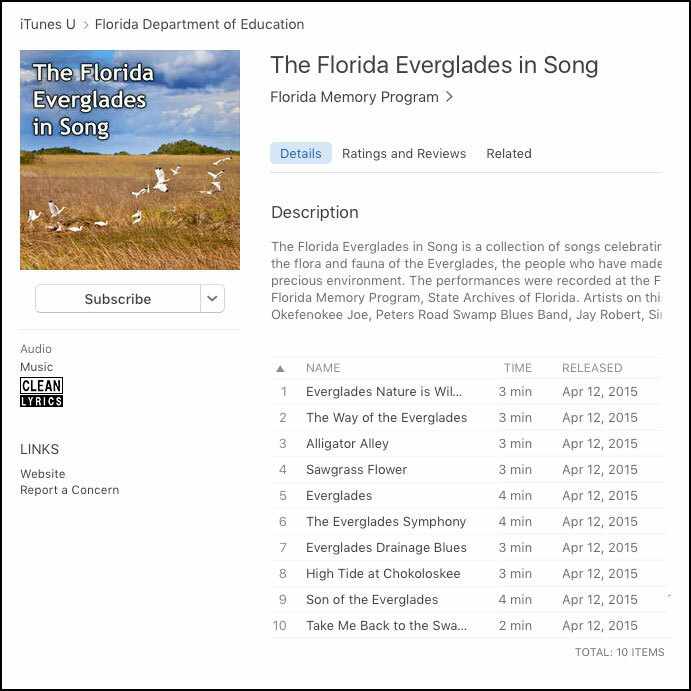 We selected ten songs about the Everglades from the Florida Memory Program for this album posted to the Florida Department of Education’s iTunes U site. 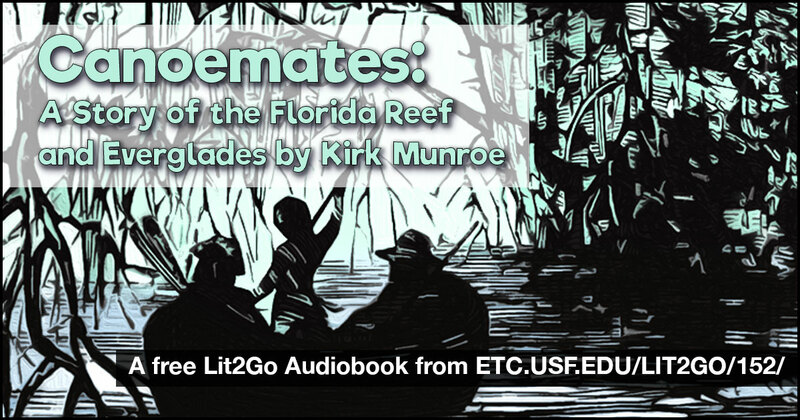 Lit2Go and on iTunes U. 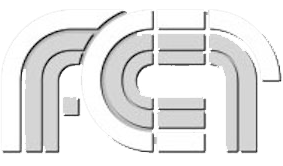 Duration: XXXXX minutes, XXXX seconds.